OneBus Ltd has announced an investment in almost 300 new Mercedes-Benz Sprinter school bus specification vehicles from EVM in West Sussex and Northside Truck and Van Ltd in Sheffield, with the investment totalling over £12m. OneBus Limited is a not-for-profit company, wholly owned by Focus Learning Trust, operating a passenger transport service for educational charities that run school services within the Focus Group of schools. The service is provided in the UK to transport students to and from those schools and on educational trips. Several challenges faced the team at EVM, from the increased weight of the Euro 6 Sprinter to the logistics of delivering a large fleet successfully to each end user in various locations throughout the UK. 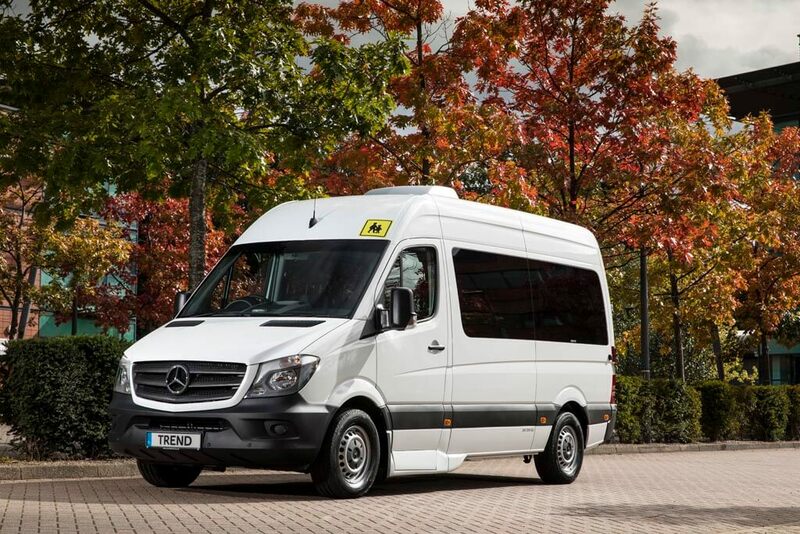 Based on a medium wheelbase 314Cdi Sprinter with seven-speed G-Tronic gearbox, each vehicle features in-dash and saloon air-conditioning and heating, supplied by Northside Truck and Van Ltd. In a change from the previous configuration, OneBus’ new models feature EVM’s three stage front entry, 12 Executive-spec reclining seats in leather, overhead luggage racks and a large luggage cage right of the passenger entry door for luggage. Vehicle security is enhanced further with Cat Lock and ECU Guards, while all vehicles are tracked with a satellite tracking system.